I do not need 10 out. In fact I wanted the 608. But it was just a little more to get the 810 and I thought about any future additions. I purchased it at a shop I have been dealing with for many years. I did not pay as much as it cost online. I was warned in the past about mentioning prices here when I purchased a 360.3 so I am not going to say how much I paid. Yea I hear you. If funds were in order and I wasn't saving for a wedding as well, Helix or Mosconi would be on top of the list ( especially if they have the main thing im looking for which was input summing etc.) At the price I snagged the DM-810 it was hard to pass up that deal. Thank you for the advice and info. I am using a high/low I purchased from a member on a accord forum. It plugs into the harness before the factory amp (I have a exl v6 with the so called premium audio) it also provides the remote turn on for my amps. I am currently running all B2 audio amps, just installed a set of B2 ISX components (replacing some pro audio speakers i previously installed). I have a layer of sound skin in each door and i also used closed cell foam to cover the outer side of the door (in between the door and door panel) I purchased a DM-810 since creating this thread. I have not installed it yet. I completely gutted out the system and reinstalling everything, changing a few things around and placement for amps and making room for the processor and crossovers for the the components. LOL i hear you brother. Thank you I had a feeling that might be the way to go. I figured it wouldn't hurt to ask. Maybe it's not a "legit term" but I was referring to removing the factory EQing to get a "cleaner" signal. Also to remove the feature where the factory bass output signal drops as volume increases. Yes of course I could buy try it and hope and pray that it would do what i want. But I did not want to close my eyes and throw hundreds of dollars in the air that might end up out the window if you know what I mean lol. Thank you for the reply I ran the 360.3 in my last build and had a few issues with it 1 being the 360.3 would freeze up on me resulting in me having to pull over turn the car off and starting back up, that being the only dsp I've ever used, I'm not sure if that's something that happens to any dsp or was just my luck. I am also considering the audio control dm 608 as another option. At this point I'm wondering if it might just be easier to stick a single din like a 80prs somewhere and call it a day lol. Hey everyone, I have a 2014 Honda Accord with the "premium" system. 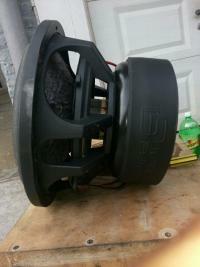 I currently run a B2 Quattro for front mids and highs, B2 Mono for bass, and also a B2 MA1000.2 on pro audio drivers. I'm still using the factory touchscreen radio for my source and have a bypass/harness that grabs the signal before factory amp and converts high level into low level input that feed the amps directly. I am looking for a DSP that accepts RCA inputs but will also de-equalize and not fade out bass at higher volume. I really like how the new Zapco DSP Z8-IV-II looks and the program/app looks great to me. I was hoping someone could give me some feedback on this model and if it was capable of de-equalizing. I am also open to any other suggestions. Thank you in advance for your help. Thank you for breaking it down, unfortunately I can only do a single run of 1/0 with the space I have to work with. The amp I'm using is a B2 audio Mono (~1500 rms) Also my question was about under the hood so I really didn't pay too much mind to the comment on amount of runs to the back that you're responding to. Yes pretty much what I was trying to say only difference would be a single run to the back. If I add that run from alt to battery, that extra fuse block needed in between is what I was trying to avoid adding. So I will be right back where I started. I can pretty much just scrap that idea about adding the smd block and just get 1 more fuse holder to fuse the alt to battery. Using either 4 gauge for big 3 or use 1/0 with a reducer at the battery terminal so it can fit in the 4 gauge spot.